An ordinary citizen taking out a giant corporation through hacktivism? Count yourself in and find out how! Let’s stream this show and get ready for the final season this year! The final season of the series is set to air in 2019. Mr. Robot is an American thriller series created by Sam Esmail and stars Rami Malek as Elliot Alderson, cybersecurity and hacker who works at Allsafe as a security engineer. He is recruited later on by Mr. Robot (played by Christian Slater) to join his group of hacktivists called “fsociety” to take down the largest conglomerate in the world, E Corp. The series premiered online via video on demand on May 27, 2015, and after some time the first season was picked up on USA Network on June 24, 2015. It currently consists of 32 episodes, all ready and available to stream from different sources. You can watch Mr. Robot on Wednesdays at 10/9 c on the USA Network. Not all people have a cable TV subscription and even if you do, USA Network is only available at selected USA regions and some countries. Check out our recommendations where you can watch Mr. Robot online if it’s not available! If you are currently subscribed to a U.S. TV provider, then you can watch all 32 episodes of Mr. Robot on the USA Network website. It’s added through your regular cable TV subscription through participating television providers. If you want to watch it away from home, like on Apple devices, a desktop computer, or a laptop, just download the USA Now app. All you need to do is sign your TV provider credentials, and you’re good to go. The app is not available for Android devices though, but support will be coming very soon as the website suggested. Another bad news is that USA Now is not available internationally, so residents outside the U.S. might have to find other methods to watch – or not. Just so you know, you can bypass this restriction if you use a VPN. If you’re itching to know what that is, skip down below to find out how. USA Network Pricing: Just add USA Network to your current U.S. TV provider. Free access to its application, USA NOW, is made available for those with cable subscription who want to watch through their mobile devices and computers. Use your Amazon Prime subscription to watch. Amazon has acquired exclusive streaming VOD rights to Mr. Robot in several countries, so it’s no surprise that users are redirected to the Amazon website in case you want to watch it on USA Network online. If you have an Amazon Prime subscription, you can watch all 3 seasons of Mr. Robot on the site. 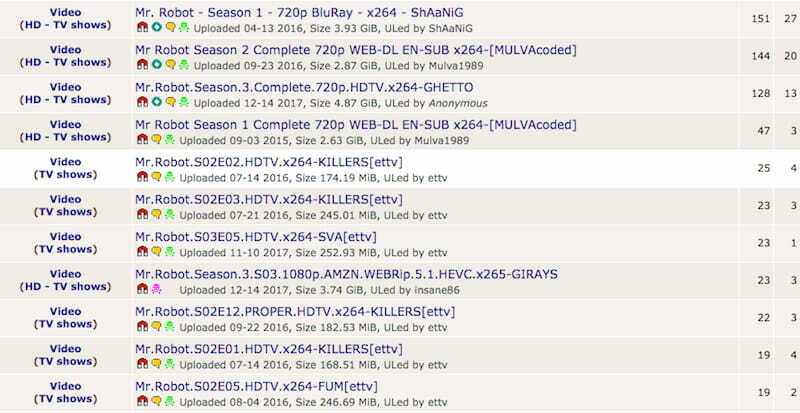 Choose between HD or SD, or you can just buy the episodes you want individually. It’s simple as that. If you don’t have a subscription and you’re not feeling Amazon Prime, then you can just try it free of charge for 30 days. No strings attached. Amazon’s only available to U.S. and U.K. residents, so if you’re outside both, that’s not entirely sad news. You can still watch the series through Amazon U.S. or U.K. through the use of a VPN. Find out how by skipping down below. Try this one out if you have an Apple device. 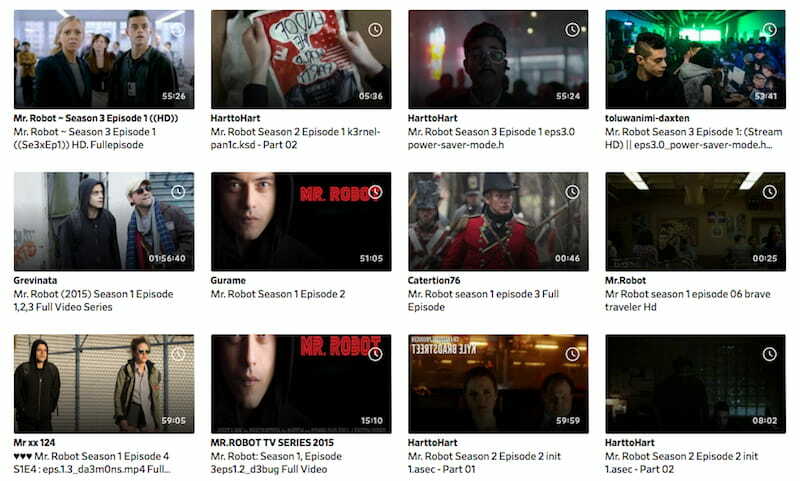 If all you have is an Apple device, you can also find all episodes of Mr.Robot through your Apple iTunes app – also in HD or SD. You can also download the episodes you want to watch so you have no trouble viewing it away from home. For non-U.S. residents, just make a U.S. iTunes account to start streaming. The season bundle’s also a bit cheaper than others, so you’d definitely want to consider this if you’re a little bit short on money. It’s an excellent streaming platform at a slightly different price point. If the three choices left you unsatisfied, you can also check out Vudu. It’s a promising platform which also delivers quality streaming at an affordable pricing range. Like iTunes, it also lets you download the episodes in HDX or SD so you can have Mr. Robot all to yourself on your spare time. You’re going to have trouble finding Mr. Robot on YouTube. Its copyright infringement policy makes it impossible to upload episodes of the series on YouTube. Good thing Dailymotion’s always available – it always saves you the hassle of finding other alternatives besides YouTube. Beware of broken links, though. Some choices you’ll find on the website might present itself as a good running video, but when you click the link, you’ll be redirected to another website. Try all the links possible to find out what you’re looking for. It’s definitely an exercise of patience. 123movies might get the job done. In case Dailymotion doesn’t work, you can try 123movies. It’s also the same as Dailymotion, only that it’s less popular. It’s one of the most recommended platforms for streaming content on the Internet by users because of its wide collection of TV series and movies. One thing to watch out for is that aside from redirections. There are lots of pop-ups and ads on this site as it is a common trait of streaming sites. It triggers every time you click (like literally) or move through the website, so be careful. If you can’t find episodes of Mr. Robot on both, try searching for it on Google. Just type in “Mr. Robot episode 1 online”, “where to stream Mr. Robot online for free” or basically anything you can think of that will come up with good search results. Keep in mind that as you’ll be doing clicking through lots of possible sites and links, you’ll encounter even more pop-ups and ads – a lot of which may carry malware or viruses which may damage your computer. We don’t recommend downloading these. It’s illegal. Piracy and downloading of copyrighted material through torrenting are punishable by law so we do not tolerate it. You can be subject to indefinite prison time depending on the gravity of your activity and also be required to pay hefty fines. Uh-oh. Another thing is that when you share media via p2p connection, you risk exposing your information to third parties which can pool and give your data – without consent – to other users. This can negatively affect your browsing and streaming experience. That’s why you need to use a VPN – it’s an added layer of safety and security for you and your private network. If you still want to do torrenting, then don’t forget to check out these VPNs for torrenting so your activity will be hidden and protected. Mr. Robot is one of USA Network’s most-watched shows and with the final season set to air this 2019, lots of people might want to get their hands on the latest episodes of the series. USA Network is only available in the U.S. If you’re one of the unlucky ones who are geo-locked on the content, you still have something to look forward to. All you need to do is get a VPN to bypass this restriction. But how does a VPN work, you may ask? It connects your network to a server in the U.S. (or other geographical locations around the world) which is restricted and enables you to stream content which is only available to that area. This means that even though you’re in like another continent, you’ll be able to watch Mr. Robot on any streaming site you want. If you’re just starting out, check out these two premium VPNs which can deliver for a reasonable price. It’s one of the most trusted VPNs in the market. If you’re looking for a premium VPN, then count ExpressVPN in. It’s a guaranteed bypass on geo-locked streaming sites makes it the foremost candidate among other VPNs. Get high internet speeds, super strong data encryption, unlimited connection to virtually anywhere in the world, and even torrenting – all for just $8.32/month for 1 year! You’ll have no problem hiding your activity. NordVPN’s cheaper but performs just as well. NordVPN is the cheaper alternative to ExpressVPN. You’ll be getting the same services at just $2.99/month for 3 years – and yes, even torrenting. That’s 3 years. Can you just imagine how much you’ll be spending on premium streaming services and how will all of that add up compared to this? Ready to Be a Cyber Vigilante? With all these tips we’ve given it’s time to hit the sack and binge-watch! The final season is set to air this 2019, but that doesn’t stop you from binge-watching Mr. Robot at 41 to 65 minutes tops. Use your VPN to unblock restricted content or sites. You get to help Elliott and the gang this way!